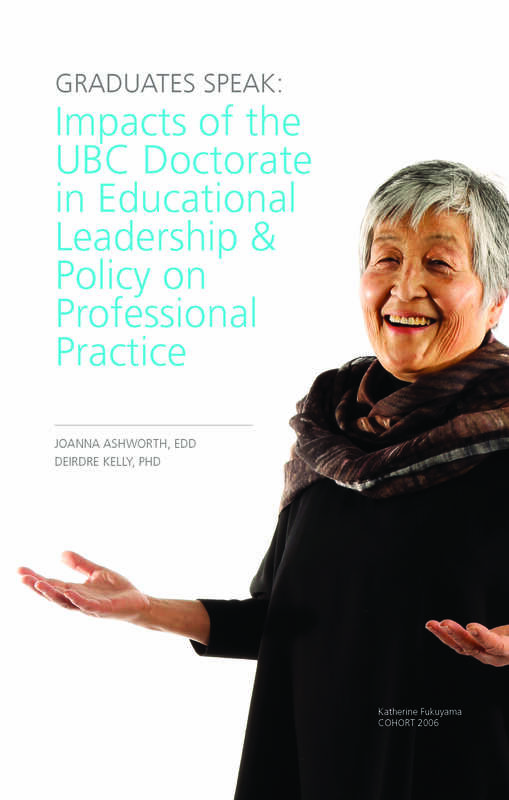 Graduates Speak: Impacts of the UBC Doctorate in Educational Leadership & Policy on Professional Practice is a new publication from Dr. Deirdre Kelly and Dr. Joanna Ashworth. The project follows 11 EdD alumni as they reflect on the ways in which the EdD program influenced their professional practice. Read the book here, or check out the webpage here.